HomeEuropeFranceParisKafari DavidVisit Monet at Giverny ! Visit Monet at Giverny ! 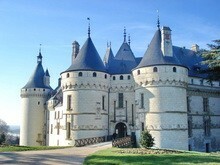 France is not only about Paris, Versailles, the Loire valley and castles or Normandy. There is much more to discover in this extraordinary European country. For example, did you know that France’s countryside is one of the most charming and picturesque in the world? It deserves at least a visit. So what would you say about a trip in the countryside? Does it sound appealing to you? It will when I’ll mention the word Giverny. This small village is situated close to Paris; it’s only 80 km away from the capital. The nearest town is Vernon. What is it so interesting about this village? Well, if you’re into arts and if you’ve ever heard about Calude Monet, then you’ll understand why Giverny is so important. This village shelters the Claude Monet Gardens and House. The greatest news is that now tourists can visit this house. Numerous impressionist artists have painted this region and the village. So, if you’ve seen some of these paintings, then you’ll recognize the surroundings immediately. This special tour will start in the morning when I’ll come after you. My minivan will be ready to accommodate and take you to Giverny as soon as possible. Here you’ll discover the house of a visionary, the residence of a pioneer in impressionism, the famous Claude Monet. The tour lasts a day, throughout which you’ll have plenty of time to visit Monet’s home, the colorful flowers of Giverny and the village itself. Take all the time you need to admire the scenery and the beautiful landscapes, talk to the locals and find out Monte’s true story. The price of the tour includes the tickets. The trip will be customized especially for you. I will come with you to help you with indications, advice and answers. You can ask me anything you want, I’ll be there for you. Visit France of the Middle Ages in Provins !